“Briefly,” [Mr. Templeton] said, “there are three forces–Catholicism, Humanitarianism, and the Eastern religions. About the third I cannot prophesy, though I think the Sufis will be victorious. Anything may happen; Esotericism is making enormous strides–and that means Pantheism; and the blending of the Chinese and Japanese dynasties throws out all our calculations. But in Europe and America, there is no doubt that the struggle lies between the other two. We can neglect everything else. And, I think, if you wish me to say what I think, that, humanly speaking, Catholicism will decrease rapidly now. It is perfectly true that Protestantism is dead. Men do recognise at last that a supernatural Religion involves an absolute authority, and that Private Judgment in matters of faith is nothing else than the beginning of disintegration. Christians who have any supernatural belief left. There are a few faddists left, especially in America and here; but they are negligible. That is all very well; but, on the other hand, you must remember that Humanitarianism, contrary to all persons’ expectations, is becoming an actual religion itself, though anti-supernatural. It is Pantheism; it is developing a ritual under Freemasonry; it has a creed, ‘God is Man,’ and the rest. It has therefore a real food of a sort to offer to religious cravings; it idealises, and yet it makes no demand upon the spiritual faculties. Then, they have the use of all the churches except ours, and all the Cathedrals; and they are beginning at last to encourage sentiment. Then, they may display their symbols and we may not: I think that they will be established legally in another ten years at the latest. “Now, we Catholics, remember, are losing; we have lost steadily for more than fifty years. In 2013 and 2015 Pope Francis suggested it. In 1994 Card. Ratzinger spoke of it. Benson describes, already in 1907, a world in which “the euthanatisers are the only priests” and the antichrist is here. How much he got right is rather disconcerting. If you want to know more about the author, Msgr Robert Hugh Benson, this is a great read. 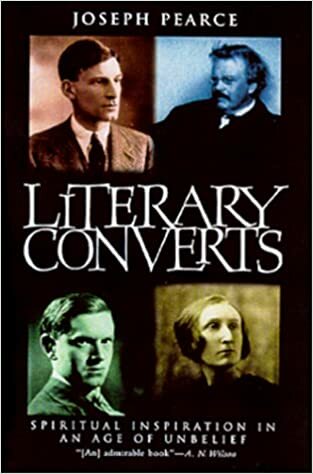 Joseph Pearce’s Literary Converts. Pearce writes of a fascinating chain reaction of English converts to the Catholic Church. In any event… this is stuff that every Catholic should know. 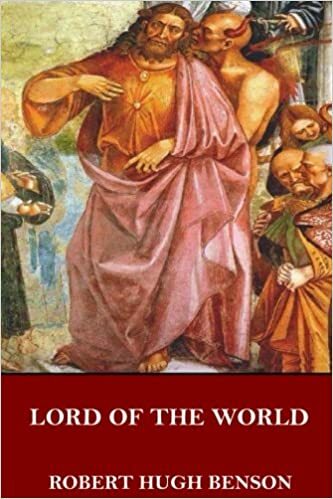 And Lord Of The World is a book that every Catholic should have read. This entry was posted in Semper Paratus, The Coming Storm, The future and our choices, The Last Acceptable Prejudice and tagged dystopian, Lord of the World, Robert Hugh Benson. Bookmark the permalink. 19 Responses to Rereading “Lord Of The World” by Robert Hugh Benson – Brrrrr! I just finished reading it a week or so ago. Its great value I think is in drawing the contrast, visible for centuries now, between transcendental religion and humanism; in the novel, the latter takes over the entire world (except for some scattered Catholics) and in doing so very bluntly identifies itself with Masonry. So the story is about the apocalypse — brought on by the Masonic conversion of nearly the whole world. It is frankly not very credible because it presents almost the entire world’s population as having accepted the Masonic anti-Christ as the world’s ruler. People are far too individualistic and contrarian to let that happen; you might argue that this is just what happened in Germany and the Soviet Union (Benson’s book was published I think in 1907) and in that sense the novel is uncannily prophetic. But can Stalinism happen on a world scale? Doubtful. But the book usefully highlights the grim contrast between humanism and Catholicism — in this sense prophetic also in noting that among Christians, the Catholics are the only ones still standing (though many apostasized), the Protestants and non-Christians having surrendered quickly. Thanks for the recommendation. I just bought the book. Have you read “The Book of Destiny” by Rev. Herman Bernard Kramer? He is a Catholic priest who lived during the 20th century. He studied the Book of Revelations for 30 or more years and this book is a result of his studies. It was published in 1955. In the 1970’s and 1980’s I read many Protestant books about Revelations but none struck me as more than speculation. Fr. Kramer looks at the book with the understanding and perspective of a Catholic and I found many very insightful observations. It was published by TAN publishing so the only place I have found it available for purchase is through AbeBooks.com. He believes that Revelations is about the history of the Church from the time of the Apostle John to the end of the world, that “heaven” in most all cases refers to the Church on earth, that angels which in Greek means messengers refers to either Bishops or Priests and that Revelations covers all the main events in the Church’s history in a linear timeline with certain chapters looking back at the timeline with more detail. As is the creation account which is presented in summary form in Genesis 1 and the creation of man is reflected back with more detail in Genesis 2. Revelations 4 and 5 is the Mass and the “Lamb” (which in Greek he says is more literally the “little lamb”) is the Eucharistic Presence of the Lord on earth. He unfolds history and rules over the accomplishment of the ultimate triumph of the Church from His Eucharistic Throne. If you can get a copy and read it I would be interested in what you thought. This book is on my reading list. I have just finished Robert Hugh Benson’s “The Light Invisible”, a collection of ghost stories that involve a Catholic priest (very good autumn/winter reading). I also have Benson’s memoir, “Confessions of a Convert”, on my reading list. R.H. Benson was the son of the Archbishop of Canterbury; he was also an Anglican priest. His conversion to Catholicism shocked very many people in Britain. Reading this post today whilst traveling, I remembered that I had Lord of the World on my kindle but had never gotten around to reading it. So, I pulled it up. Really riveting read! The first time I read it, the end left me literally speechless with wonder in a way no other book has (and also instilled in me an especial love for Pange Lingua). And then we went back to the hotel room, and that’s where I first heard of Charlie Gard. Read it a couple years ago. It is amazing. Bought one for my parish priest as well. I was pondering whether my teenagers would like it and get th thinking. Just now I am about 3/4 in the Necromancers by the same author. You can get most of his other fiction on kindle for a $1.00 or so. The Necromancers is a spooky good story. It’s a very good description of the ultimate social goals of the deceptively misnamed “humanism,” which is just really just the somewhat prettier, more publicly acceptable face of totalitarian, atheistic socialism. But the book that I found even more disturbing is Brian Moore’s “Catholics,” because it shows a world in which the Church has accepted “humanism” in full, with a bit of religious language to make it more palatable, and is imposing it even in the remotest corners of the world, eliminating all those who don’t get with the program. Those imposing it are the very clergy and hierarchy of the Church itself. By contrast, Benson actually is more optimistic about the Church (or parts of it) holding firm. Looking at what’s going on now, I’d say Moore’s vision may have been more accurate. I just finished reading it. It was quite interesting and impressively prophetic. I was frustrated and a bit confused by the ending though. A couple of months ago I downloaded “Robert Hugh Benson: collected works” on Kindle. He really was a gifted story-teller and his prose is marvellous. I actually found his contemporary works i.e. those written up to his (early) death, the most interesting, especially “None other Gods” if I had to single out a particular. His historical fictions are also very good. I didn’t read “Lord of the World” on this go-around as I’d read it separately twice over the past few years, but there is a follow-up, as it were, entitled “Dawn of All”. In the preface, he says that it’s supposed to be set “about sixty years hence”, which would be the 1970s given that it was written in 1911, and “… should the opposite process begin, and ancient thought…be prolonged again” i.e. in a world that has taken an exactly opposite course to that set out in L.o.t.W. Well, it didn’t happen – in fact we seem to be/are exactly on course for the Lo.t.W. scenario, but it’s a very interesting book nonetheless. “Lord of the World” is probably his most widely known, but “Come Rack! Come Rope!” is perhaps Msgr. Benson’s best to read in this Church-proclaimed Year of Luther, as a reminder of the persecution Catholics can thank the Protestant revolution for. The Dawn of All is very deep and raises lots of important questions about faith in practice. 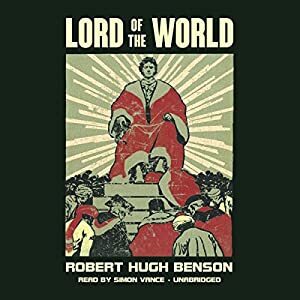 I have had Lord of the World in a Benson collection on my Kindle for a while but I was never able to get through the prologue. Then I found an audio version free from Librivox.com –and you can stream it– in iTunes it even keeps your place. This is not “professionally” done and chapters are read by several different people. I suggest this for someone who might prefer to listen but can’t afford the audiobook. Pope Francis has recommended the book. I searched the web but I could not find out why, other than that we might then understand his pontificate from reading it, or something to that effect. Sigh…not very clear but that’s not unusual coming from him. In the end, I would like to know which side he is on! I’m sorry I even have to entertain that question. I read it after Pope Francis repeatedly recommended it, it’s a very good book that makes an impression on the imagination. Only a Catholic, who has experienced things like Benediction and public Eucharistic processions, can fully grasp and appreciate this book. The drama of the Church and of the whole fallen and redeemed Creation really is the drama of the Real Presence of Jesus in the Eucharist. The Eschaton will not be televised! Yes, I have read Lord of the World some years ago and have given it as a present to others. I also liked Come Rack, Come Rope. The courage of the Catholic and of the priests who served them in spite of the danger of martyrdom is something for us all to emulate. My own ancestors came from England in the early 1600s as they were Catholics fleeing England. They settled in MaryLand which was at that time a place where a Catholic could live in peace for the persecution against them was in place in other colonies especially in New England. I very much enjoyed reading Lord of the World some years ago. I am inclined to read it once again someday, if for no other reason, than my love for happy endings. “The Glory of the Olive” and “Burning Faith” are, I think, attempts to bring LotW into the mid-90s, at least, and some of the things mentioned above are addressed therein, in the manner one would expect when the books were written closer to the fall of the Berlin Wall than 9/11/2001. Thanks for the recommendation. Reading now. Just got to Chapter 3. So far, I have gotten whiffs of 1984 and Atlas Shrugged. For instance, the question, “Who is Felsenburgh?” immediately reminded me of “Who is John Galt?” I wonder if the authors of those books read this one.